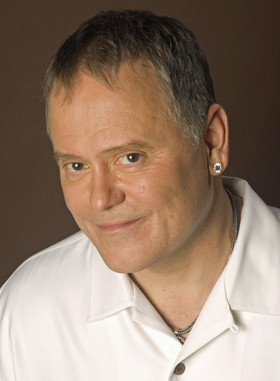 While we were recognizing military veterans in the domain industry Monday, Go Daddy founder and former U.S. Marine Bob Parsons was busy that day making a much bigger gesture in his hometown, Baltimore, Maryland. Parsons (who we profiled in one of our earliest Cover Stories back in 2004) went back home to cut the ribbon on a new veterans center at his alma mater, the University of Baltimore - a facility made possible by a generous $1 million gift from The Bob and Renee Parsons Foundation. The new veterans center at the school will offer academic advising, guidance on financial aid and legal matters, as well as mental health counseling. Parsons graduated from the University of Baltimore in 1975, just a few years after receiving a Purple Heart after being wounded during the Vietnam War. of the Marine Corps, I learned how to focus. They taught me how to handle responsibility and they taught me how to carry out responsibility. They taught me discipline...with that I was an entirely different guy." Parsons knows from personal experience that is not easy to transition from the military back to civilian life, so he took it upon himself to make it easier for his hometown veterans to navigate that terrain with the help of this new resource center in Baltimore. Parsons summed it up his reason for getting involved when he told Entrepreneur, "These are men and women who have agreed to place themselves in extreme danger, in harm's way, and they did it for us. They shouldn't be forgotten." (Hat tip to Richard Meyer for this story).